RALEIGH, N.C. (WNCN) – Jesse Bennett sat on a park bench, reflecting back on his dark past. “Heroin it makes you numb to everything it really wipes away all everything,” Bennett said. “Luckily I lived through it.” He started using drugs at age 14. “At that point I really didn’t think I was an addict. I knew I did things extreme but I didn’t think it was too bad,” said Bennett. His transition into adulthood happened on the streets and in and out of jail. Pamlico County – Sheriff Chris Davis of Pamlico County graduated Friday from the Sheriffs’ Leadership Institute. 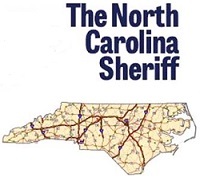 This training was sponsored by the North Carolina Sheriffs’ Association and partially funded through a grant from the Governor’s Crime Commission. Twenty-seven sheriffs from across the state received their diplomas at a ceremony held at the William and Ida Friday Center at The University of North Carolina in Chapel Hill, North Carolina. The Sheriffs’ Leadership Institute consisted of four one-week training programs conducted over a period of two years. The first two weeks were designed to provide specific, technical skills necessary to assume the Office of Sheriff. The second two weeks were designed to further their knowledge, skills, and abilities in the leadership and management of the sheriff’s office. 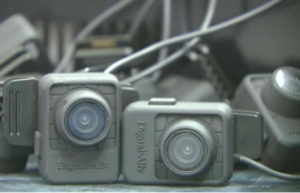 Nash County, N.C. — The Nash County Sheriff’s Office announced Thursday that all deputies will be equipped with body cameras following a year of implementation. A press release from the sheriff’s office said that 28 cameras were purchased at a cost of $23,000 and were funded through a federal grant. Authorities said the cameras will record about 16 hours of video. “We are excited at the opportunity to increase the trust that already exists with our citizens. 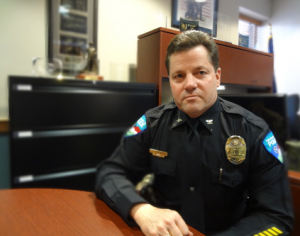 We have worked hard to have an open door policy and this is part of the openness and transparency that we want with those that trust us to keep them safe,” said Sheriff Keith Stone. Moss Lake isn’t typically packed with swimmers in late February. 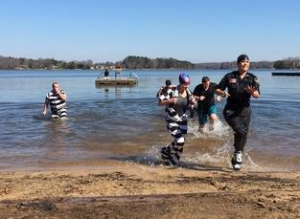 Local residents made an exception to take a quick dip for a good cause Saturday as the Cleveland County Sheriff’s Office hosted its second annual Costume Polar Plunge to benefit the Special Olympics North Carolina. Sheriff Alan Norman was the first participant to take the run from the beach into the lake in the under-40-degree weather. After jumping in, Norman looked forward to watching others take the plunge. 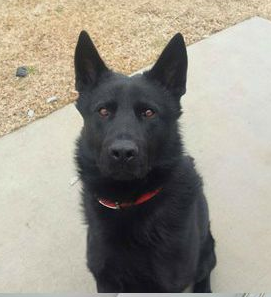 JACKSONVILLE, N.C. (WNCN) — A German Shepard who works with a North Carolina sheriff’s office has been fitted for a bullet-proof vest, which will be donated to the K-9 officer. K9 Blek is being protected from bullets and knives thanks to a donation from the nonprofit group Vested Interest in K9s, Inc. Each vest has a value between $1,795 – $2,234 and a five-year warranty, and an average weight of 4-5 lbs. Blek, whose handler is Deputy C. Cintron of the Onslow County Sheriff’s Office, is trained and certified in narcotics, tracking and patrol. 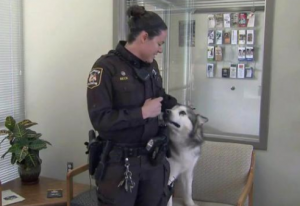 Durham, N.C. — Seven months after a Malamute named Marty was seized during an animal cruelty investigation in Durham, he was permanently reunited Friday with the deputy who helped rescue him. Deputy Dakota Beck responded on July 21 to a complaint about two dogs running loose on Sybil Drive and noticed a strong smell of urine and feces coming from a nearby home. Beck heard barking inside the house and saw dogs with matted fur in pens in the backyard. Beck obtained a search warrant and found 31 dogs on the property, including Marty, a malnourished Malamute. 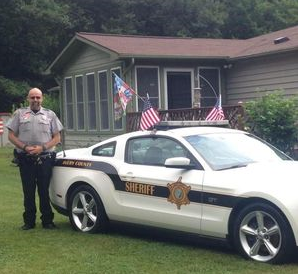 Elizabethtown, N.C. — A Bladen County sheriff’s deputy involved in traffic stop shooting that injured an Elizabethtown man returned to full duty Friday after an internal review by the sheriff’s department, Sheriff James A. McVicker said. According to authorities, Deputy D.A. Schmale Jr. stopped a vehicle driven by Dennis Marshall on Feb. 13. 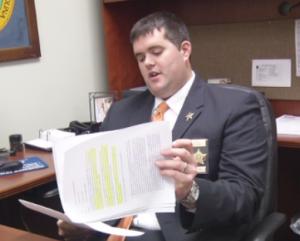 After learning Marshall had an oustanding warrant for his arrest, Schmale attempted to arrest him. Marshall resisted, retrieved a handgun from his vehicle and began firing at Schmale and Elizabethtown Police Officer Blake Bryan, who had arrived on scene to assist Schmale, McVicker said. “Hillbilly heroin,” they called it – OxyContin, and other opioid prescription painkillers. Police Chief Bill Hollingsed of Waynesville, in Western North Carolina’s Haywood County, recalls about four years ago when the county medical examiner shared with him a shocking statistic: Twenty-five percent of recent deaths investigated by that office were attributable to overdose of these drugs. 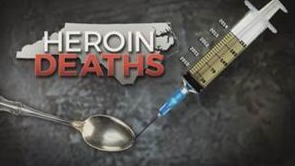 Hollingsed was aware opioid use was on the rise, but such a high rate of death – “It took even those of us in law enforcement by surprise,” he said. ASHEVILLE, N.C. — State law bans drivers from texting while driving. But there’s no state law about keeping your ears open to what’s going on around you. It’s the distraction for drivers that’s still legal. Few people know how easily we can drown out emergencies better than a state trooper rushing to get to one. “Every day it happens. It happens to me two or three times a day,” Trooper Kelly Rhodes, of the North Carolina Highway Patrol, said. In this plugged-in world, focusing our attention is that much harder. “Whenever I see someone and they have earphones in while they’re driving, it makes me a little nervous. Because what if there was an ambulance behind them?” Allison Russel, of Asheville, said.